As of May 21, 2014, a DOT Medical Card must be issued by a medical provider who is listed on the FMCSA National Registry. Expertise matters. The health of your organization is directly related to the health of the people who work for you. Interested in learning more about our employee wellness program? Whether you have 5 or 500 employees, Company Care can design an occupational health program to meet your company's needs. 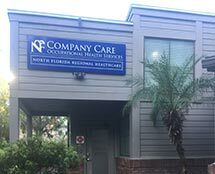 Company Care in both Gainesville and Lake City are conveniently located to their respective hospitals - North Florida Regional Medical Center and Lake City Medical Center. Is your employer a Company Care client? If so and you want to make sure you are up-to-date on all of your occupational health needs, make an appointment because we are here to help. When you are seeking Occupational Health Services for your company, experience counts, and our Occupational Health Services program is recognized as a leader in Industrial Medicine and Occupational Health. We have a history of providing comprehensive occupational health services to major employers, municipalities and small businesses in the corporate community. Whether you have 5 or 500 employees, we can design a program to meet your company’s needs. Company Care is dedicated to helping you build a healthier workforce and business. In 2012, Company Care added an Employee Wellness Program to our list of services in order to control rising healthcare costs, improve employee productivity, improve employee morale and reduce absenteeism and turnover. The H2U Works program is currently only available at the Gainesville location. Speak with your employer about setting up a private mammogram screening party. 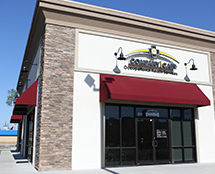 Cooking with company care coming soon to our locations! Ergonomic assessment services coming soon to our locations!